Sir Chandrasekhara Venkata Raman was one of the greatest physicist the world has ever seen. He was born to Chandrasekhara Ayyar, a scholar in Physics and Mathematics, and Parvathi Ammal, on 7th November 1888, Tiruchirapalli, a town on the banks of the river Cauvery. Raman was a child genius and stood first in every class. He joined the B.A. class of the Presidency College. He published his first scientific paper at the age of 17 in The Philosophical Magazine in London. He did his M.A. from the same institution. He possessed the power of concentration and intelligence, and an insatiable curiosity to learn new things. He used to read more than what was taught in the class. In 1921, Raman attended the British Empire Universities’ Congress in Oxford, England. He questioned the very idea that the water’s blue color was due only to the reflection of the sky. He later proved that the deep blue color of the sea is due to the scattering of light by the water. His many investigations on light scattering culminated in his discovery of the Raman Effect in 1928, for which he received the Nobel Prize two years later, in1930. 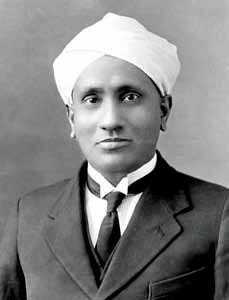 Sir C. V. Raman was honoured with a large number of honorary doctorates and memberships of scientific societies and was elected a Fellow of the Royal Society early in his career (1924), and was knighted in 1929. This great physicist died on November 21, 1970 in Bangalore, India. 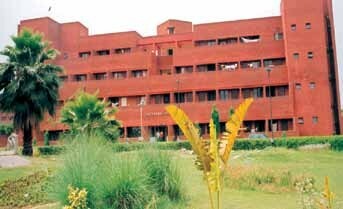 Sir C. V. Raman Hostel, Constructed for the boys accommodation, was inaugurated in the year 1997. It has capacity to accommodate 178 students.